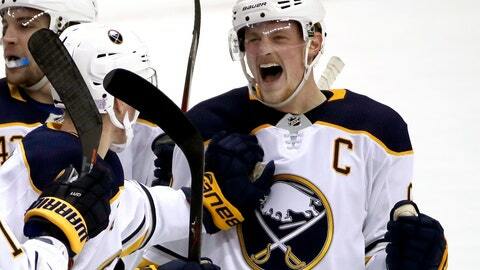 BUFFALO, N.Y. (AP) — The Buffalo Sabres are on such a roll, captain Jack Eichel was having difficulty recalling the last time they lost. “Um, was it Calgary?” Eichel said Monday, before being reminded the 2-1 overtime defeat to the Flames was three losses ago. Buffalo’s nine-game streak is the NHL’s longest since Columbus won 10 straight in March, and it’s one short of matching the Sabres’ franchise record set twice and most recently when they opened the 2006-07 on a 10-0 run. The Sabres would match that if they beat San Jose on Tuesday night. It began with Housley, who took action at the end of last season after center Ryan O’Reilly went public in saying a losing mentality had crept into the locker room. Housley challenged his leadership group with a summer-long series of frank discussions that allowed players to air their differences and raise concerns.